At Design Miami 2015 in Miami Beach, designer Yves Béhar has been honored as the Design Miami Design Visionary of the Year for his contributions to design and the humanitarian efforts of his studio. 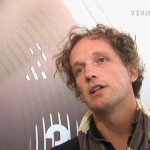 In this interview, Yves Béhar talks about his exhibition at Design Miami 2015; his design philosophy; the design process; and the future of design, especially regarding the interface between technology and the human – what Yves Béhar calls the 2.0 of human interface interaction. 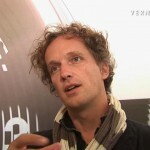 Interview with Yves Béhar, Recipient of the 2015 Design Miami/ Design Visionary Award, presented by Panerai at Design Miami 2015, Miami Beach (Florida, USA), December 1, 2015.